향상된 내구성과 전자기 간섭을 방지하는 메탈 케이스. 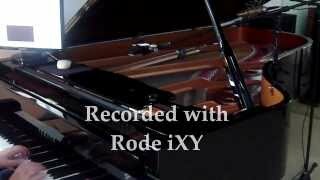 불필요한 저주파 잡음을 줄이기 위한 소프트웨어 전환식 72Hz 하이패스 필터. iXY-L은 모든 Apple® Lightning® 장치와 호환됩니다. 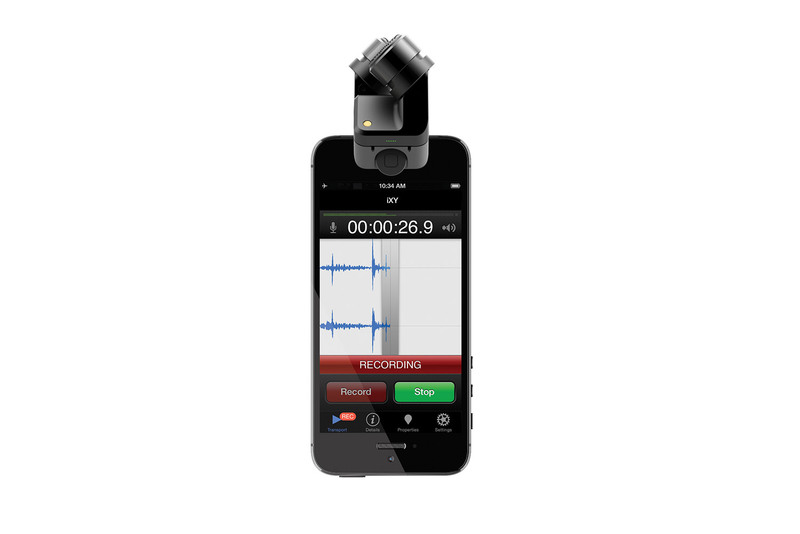 RØDE i-XY는 iPhone® 및 iPad®용 최고의 녹음 마이크입니다. 최대 24비트/96kHz* 녹음 및 고성능 아날로그-디지털 변환 탑재로 i-XY 녹음이 풍성하고 매끄러우며 정확합니다. 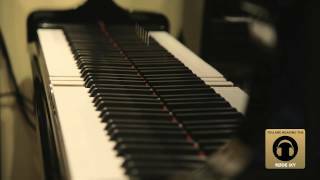 i-XY의 중심에는 페어링된 ½” 카디오이드 콘덴서 캡슐이 있으며, 완벽한 90도의 '거의 일치하는' 라인으로 고정되어 있습니다. 이로써, 놀랍도록 높은 수준으로 구현된 몰입형의 사실적인 스테레오 녹음이 가능합니다. 호주에서 설계 및 제조. 모든 Apple® Lightning® 장치를 지원합니다. 필요할 때마다 i-XY를 사용할 수 있도록 강화된 보호형 지퍼 케이스와 야외 녹음용 폼 윈드실드가 제공됩니다. 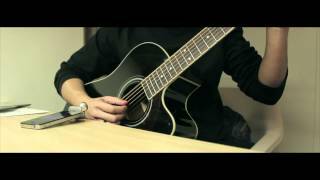 *24비트/96kHz 음질을 위한 RØDE Rec 또는 RØDE Rec LE 앱. iPhone 및 iPad는 미국 및 기타 국가에 등록된 Apple Inc.의 상표입니다. Simple, easy, and useful. 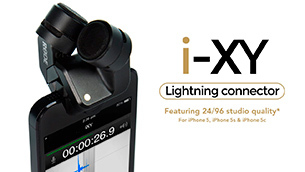 I wanted one just from seeing this ad and imagining all the problems the i-XY could solve for me. 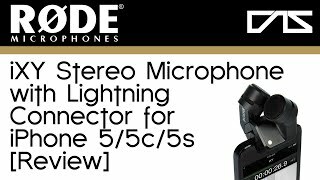 It's pretty awesome to have a quality company like RØDE design and build a mic/converter like this for use with Apple iOS devices. 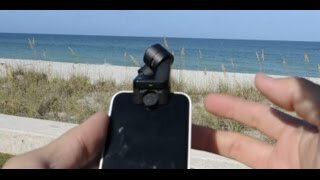 In the past, we've had to suffer through tech companies creating accessories like this that were always lacking in build and sound quality. 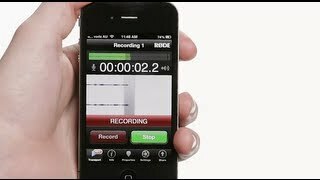 Before now, I never considered using my iPhone to record a show or anything beyond a simple voice memo or a roughed-out musical idea. Now I will be carrying the i-XY (in the included protective zip case) with me everywhere I go. 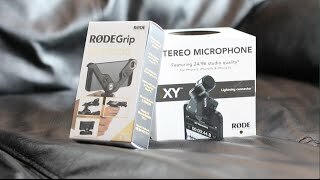 RØDE has recently developed a reputation for making the right tools for the job at a good price, and these two well-thought out packages won't disappoint. 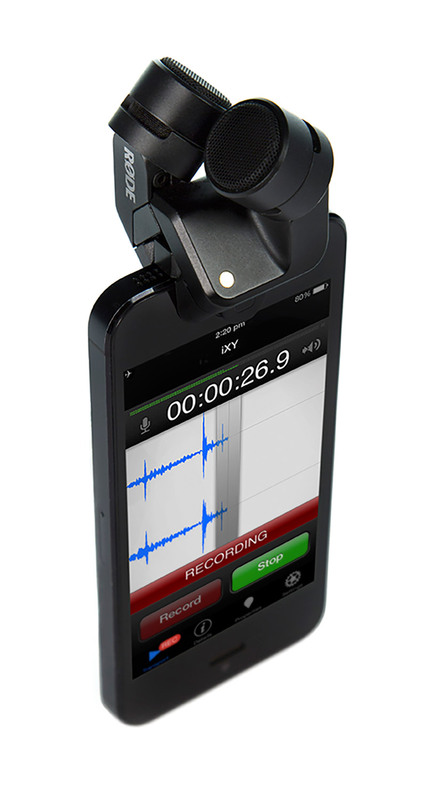 The i-XY improves audio on the iPhone beyond what most people thought was possible. With the advent of iThings and apps came the expectation that pretty much anything you could run on them or plug into them would be cheap and cheerful. 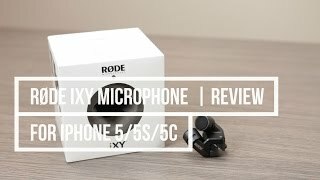 But to make the best possible use of their 24-bit, 96kHz recording capabilities, you need a good microphone, which is where the RØDE i-XY comes in. 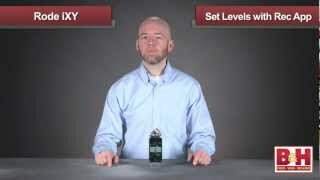 The i-XY sounds good, works as it should do, and as an alternative to buying a separate flash recorder, it makes a lot of sense. It has a solid build and physically feels top-notch. 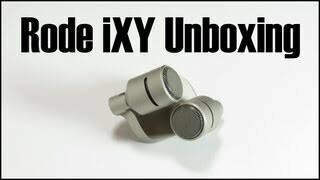 In the new world of social media where everything is nearly instantaneous, the i-XY delivers professional quality instantly. 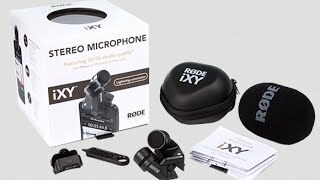 Whether it’s to record song ideas, capture a one-on-one interview, or even create any type of foley or sound effects on-the-fly, the i-XY is a cool little powerhouse device, and I’m sure you’ll be impressed. Immediately out of the box its clear that Rode has brought the proverbial gun to a knife fight. 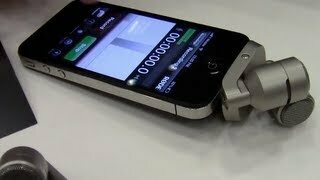 The i-XY is unquestionably one of the most professional looking iThings to plug in to the 30 pin dock of an iOS device. 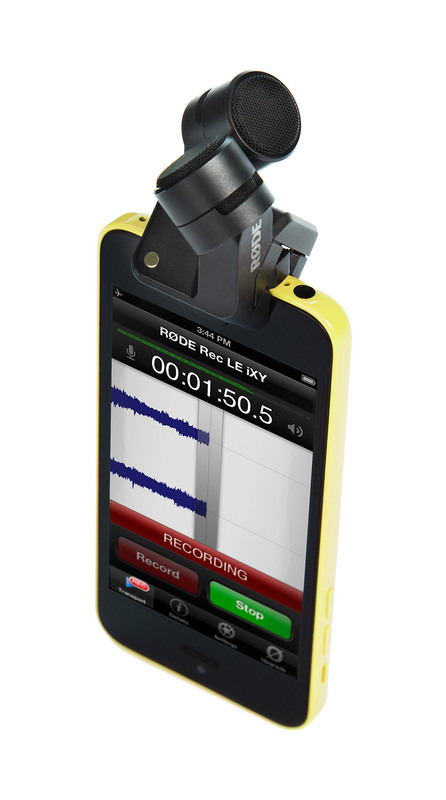 When it comes high quality field recording for iOS devices Rode brings their A-Game with the i-XY. 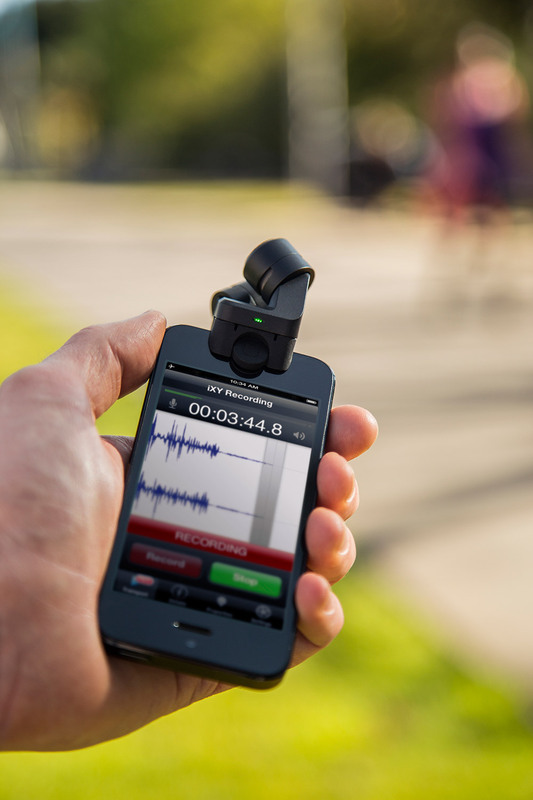 They’ve managed to package high quality hardware with a clever and complete recording application that in our opinion negates the need to carry around a separate field recording device. 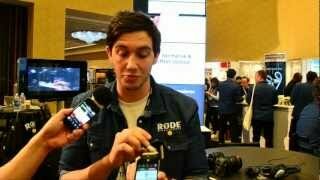 RØDE has a knack for over-delivering. i-XY is a case in point. While for some manufacturers the iDevices are just another opportunity to graft a few bucks from the general public with adjunct plastic bits ’n’ bobs. 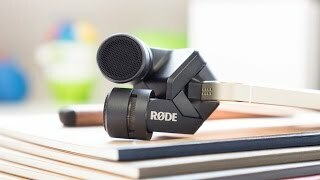 RØDE has really bought into the design story of Apple’s devices and designed an accessory that would even satisfy Jonny Ives’ aesthetic sensibilities. 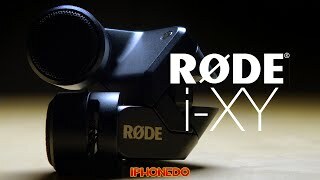 The combo of i-XY and RØDE REC is far more formidable than a phone ‘accessory’ and an app should be. 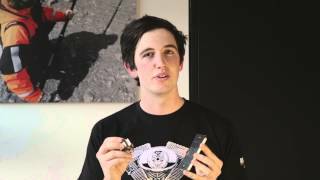 Not to mention it comes in a miniature moulded, zip-up case you can carabiner to your key chain,and a custom windsock. 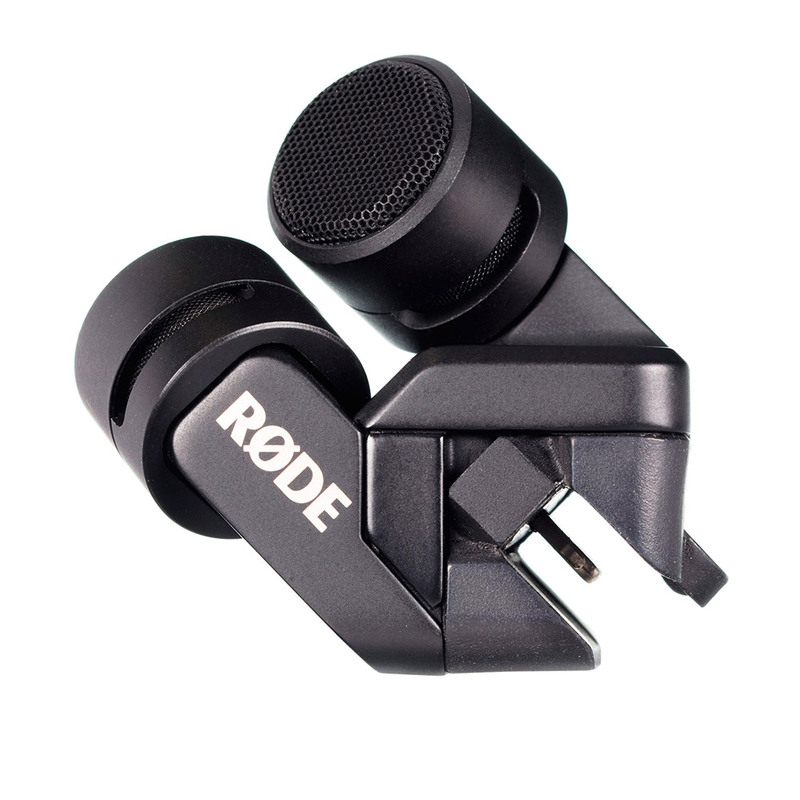 RØDE’s on a winner with these two. The unit’s build oozes quality. 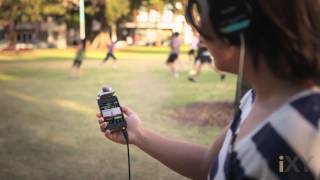 We tested the unit by recording a vocal and acoustic guitar performance, percussion sampling and general speech capture. 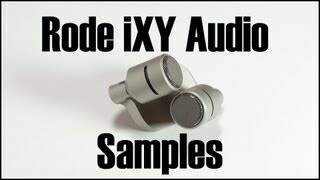 The fidelity of the i-XY is impressive – no grainy frequencies and good high-end detail. Stereo is also nice and wide while retaining good positional information.